The Inter-Council Network (ICN) is a coalition of eight provincial and regional Councils for International Cooperation. These member-based Councils represent over 400 diverse organizations from across Canada that are committed to global social justice. The ICN provides a forum in which the Councils collaborate for improved effectiveness and identify common priorities for collective action. The ICN has been hard at work finding out what practitioners, academics and the Canadian public think about public engagement in Canada. In March we wrapped up our Context Analysis project, which engaged hundreds of practitioners through an online survey, focus groups and interviews across the country. 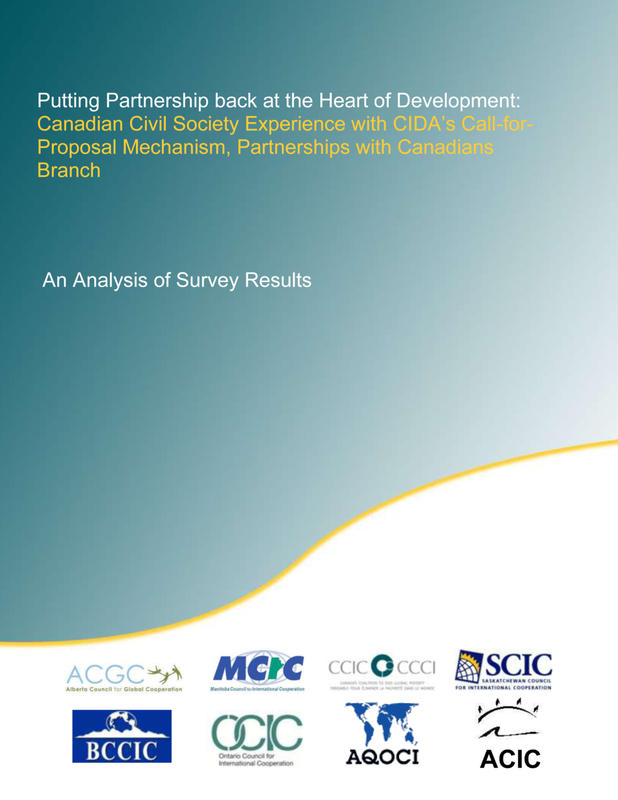 The results of this process have been used by the ICN to shape the next stages of our three year program, Exploring Public Engagement Effectiveness in Canada and will now be put into a report that will be shared with our members in the fall. A second research piece, a bibliography of relevant academic and institutional publications, has been compiled and will also be released in the early fall of 2012. Another big moment for the ICN was a national public opinion poll that we conducted with Vision Critical. 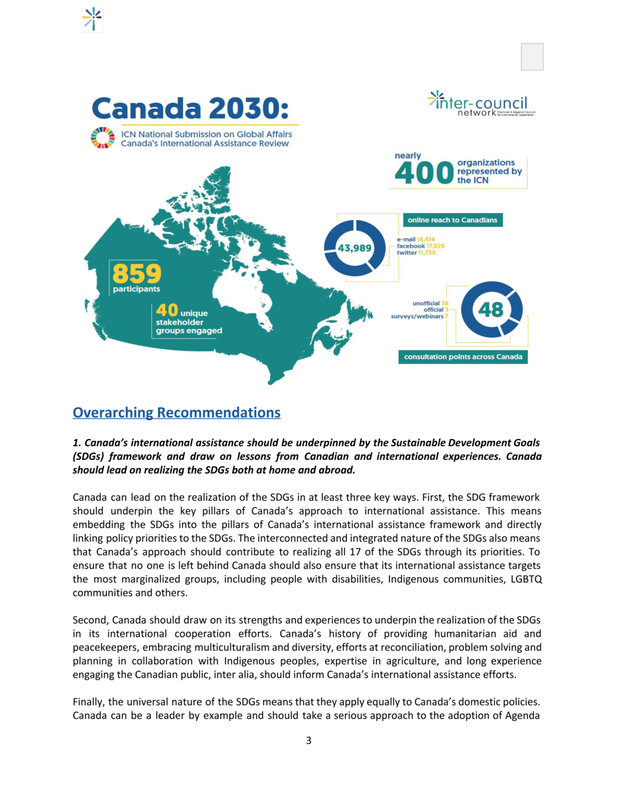 Over 1200 Canadians were asked to provide their opinions and understanding of global poverty issues, who should be addressing those issues and how. The full report was released on May 22 and was very well received by the sector. View the report here. Going forward, the ICN will be launching a series Public Engagement Knowledge Hubs on a variety of different themes. This initiative will aim to generate knowledge towards identifying good practice in public engagement and will engage experts in the field. Please stay tuned for more details on the Knowledge Hubs in the coming months. Check out the Global Hive Toolkit! It's for NGO staff, volunteers, international development workers, teachers, youth, campaigners, activists, policy makers- in short, everyone who works to engage others on global issues. Global Hive looks to the future of public engagement and offer tools to help us move forward together in our shared goal of engaging Canadians as we work toward a more equitable and sustainable world. is a network of individuals, organizations and institutions based in Canada's three Northern Territories: Yukon Territory, Northwest Territories and Nunavut. We are committed to achieving sustainable global development that is democratic, just, inclusive, and respectful of the environment and indigenous cultures. créée en 1976, regroupe 67 organismes de 13 régions du Québec qui œuvrent, à l’étranger et localement, pour un développement durable et humain. is an expanding community of Ontario-based international development and global education and individual associate members working globally for social justice. The Manitoba Council for International Cooperation (MCIC) is a coalition of organizations involved in international development who are committed to: respect, empowerment and self-determination for all peoples; development that protects the world’s environment; global understanding, cooperation and social justice. helps Saskatchewan people act on their desire to make the world a better place. We do this by educating Saskatchewan people about global issues like poverty, health, and human rights, and encouraging individuals to take meaningful action. is a coalition of voluntary sector organizations located in Alberta, working locally and globally to achieve sustainable human development. We are committed to international cooperation that is people-centred, democratic, just, inclusive, and respectful of the environment and indigenous cultures. We work towards ending poverty and achieving a peaceful and healthy world, with dignity and full participation for all. engages its members and others to share knowledge, build relationships, and develop their capacity towards achieving sustainable global development.